Outdoor pool, lazy river and water slide. 0.7 miles from Cherry Grove Pier. 1.8 miles from Surf Golf and Beach Club. 2.1 miles from Molten Mountain mini-golf. 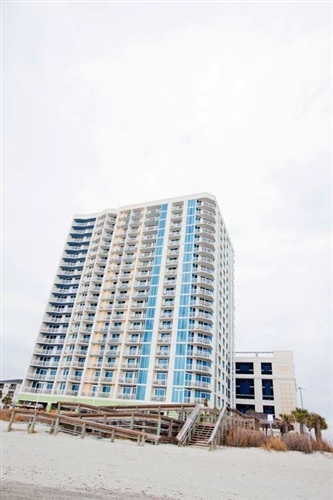 Towers at North Myrtle Beach transports you to a world of artfully detailed accommodations, breathtaking picture-window views, and impressively relaxing amenities. Cultivate lasting vacation memories while enjoying sights and adventures around our exciting northern Grand Strand area. Beautifully furnished suites with private balconies and world-class amenities such as a lazy river, water slide, hot tub and outdoor pool await you at Towers at North Myrtle Beach. Close to restaurants, attractions and shopping, but also far enough away from it all to enjoy the sounds of the ocean from your private balcony. Whether you seek the shows and attractions of Myrtle Beach or a private deep-sea fishing charter out of Little River inlet, we can help you get there. 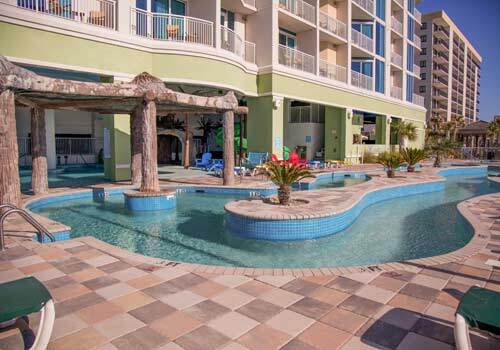 Towers at North Myrtle Beach is managed by their sister property, the Prince Resort, and does not have an on site presence or provide daily housekeeping. All guests must check in at the front desk at Prince Resort, 3500 N Ocean Blvd, 29582. If our unit is not ready when we arrive, what do we do? The unit will be ready for you at 4:00 pm when you check in. If you expect to arrive earlier, ask the front desk if the unit can be available before 4:00 pm. 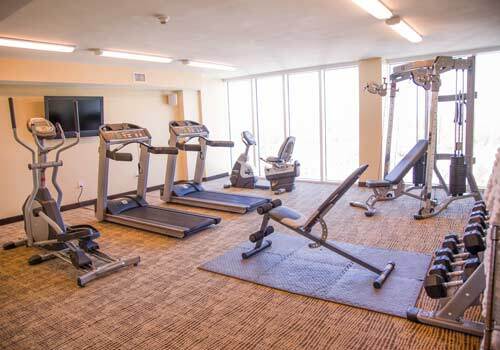 If not, please feel free to use the amenities at Towers at North Myrtle Beach until your 4:00 pm check-in time. 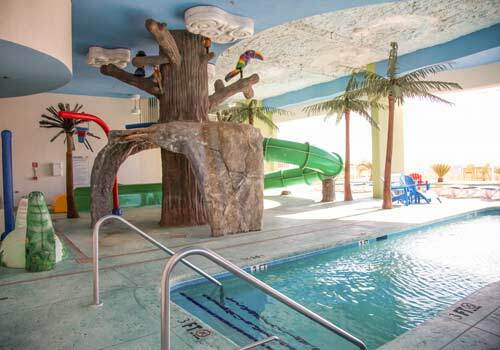 Options include but are not limited to enjoying the pool and pool amenities, the beach, and much more. Oceanfront means that your view out to the ocean looks directly onto the water without turning your head. You see the water directly in front of you. Ocean view means that your view of the ocean looks north or south up the coastline. You see the coastline, the beach, and the ocean in your view. Some views are from the side or at an angle, and you must turn your head. Others are directly ahead. Kitchens include a stove, microwave, oven, dishwasher, refrigerator with freezer, pots, pans, mixing bowls, serving bowls, cooking utensils, eating utensils, drinking cups, plates, coffee cups, and saucers. Paper products are not provided. All units have clothes washers and dryers. Each guest receives a supply of clean linens and towels in the unit. The housekeeping policy is to replace used linens and towels with fresh ones if a guest stays four days or more. Linens and towels available include a bath towel, washcloth, hand towel, bath rug, bed sheet, blanket, pillow, bedspread, mattress pad, shower curtain. Also, a dish towel is included in the kitchen. 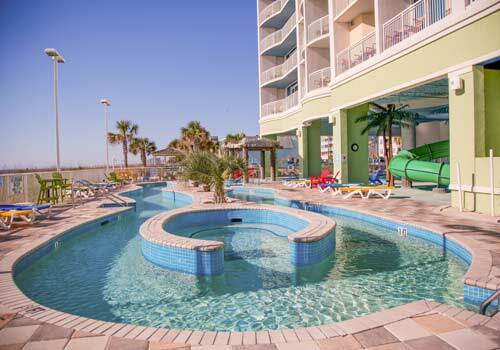 Does Towers at North Myrtle Beach have laundry facilities? Yes. Units have washers and dryers or washer/dryer combo units. Should I bring an ironing board? There is no need to bring an ironing board and iron with you to the beach as either the unit is equipped with ironing equipment or you may request the equipment when you make the reservation, check-in, or during your stay. Yes, free wifi is available. If you bring a laptop or other computer, you can use the internet access here at the resort. Pets are not permitted with the exception of service animals. Do you provide pool towels or beach towels? Beach umbrellas? Beach chairs? The resort does not provide beach umbrellas or chairs. Some are available for rent from the lifeguards during the season after Memorial Day and before Labor Day. Poolside chairs are available. All resort pool furniture must remain at the pool area and may not be taken to the beach. Can I smoke while at the hotel? No. Smoking is not allowed in the unit or on the balcony. If there are signs of smoking, a $150 fine will be charged. 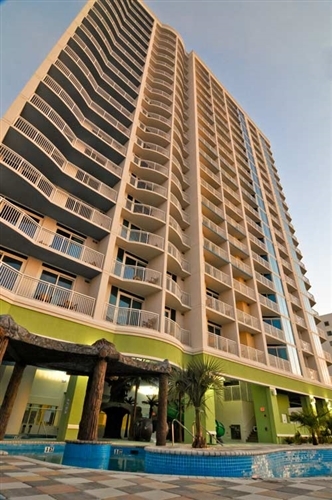 While Towers at North Myrtle Beach does not offer its own shuttle service, the front desk agents can tell you about modes of transportation including Lymo (transportation service around the City of North Myrtle Beach), rental of a vehicle or motorbike, and rental of a golf cart (check local jurisdictional restrictions). Can I cook on my balcony? 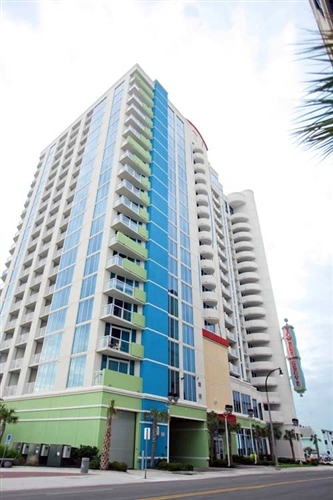 No cooking, grilling, or barbequing is allowed on the balconies at Towers at North Myrtle Beach at any time. Anyone found violating this safety ruling may be fined by the City of North Myrtle Beach as well as the resort. 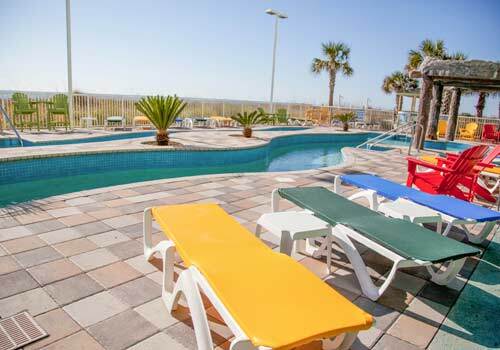 How can I secure my valuables in my unit while I am a guest at Towers at North Myrtle Beach? You may request a condominium unit with a safe, subject to availability. Please note, we are not responsible for lost or stolen items while staying at the resort or parking garage. Please make sure that upon vacating your condominium unit you have thoroughly checked for any misplaced items. What is the age requirement to reserve a unit or check-in? Guest staying must be 23 years or older, or accompanied by their parent.